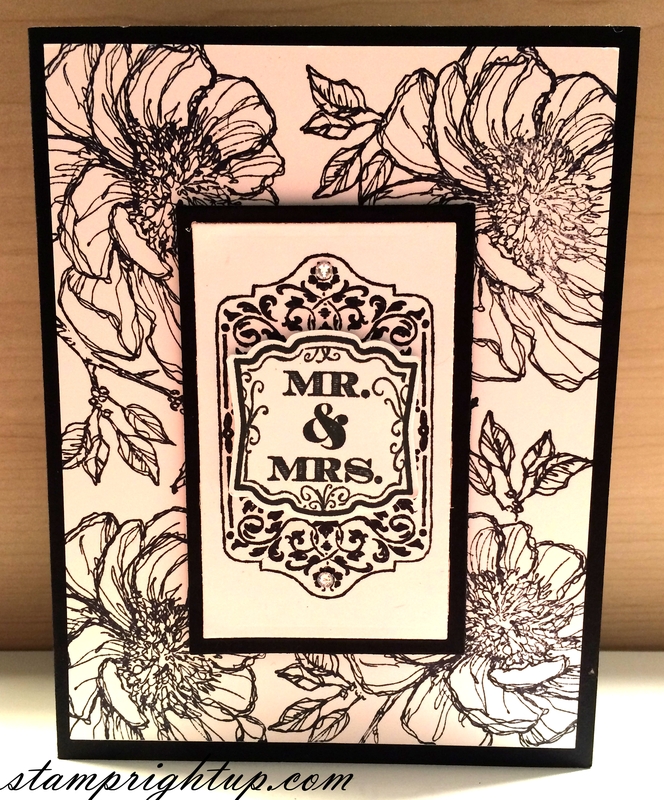 Classic Stampin Up Black & White Wedding Card | Stamp Right Up! ← Wondrous Wreath: Photopolymer Fun with Stampin Up! I recently had one of my lovely stampers request a wedding themed coffee & a card project, so I found this lovely card on Pinterest and knew I had to feature it for the workshop. I loved that this card was easy to do using the masking technique, but still produced a beautiful card. Now that the holidays are wrapping up there are some great new stamps that I can’t wait to show you all!